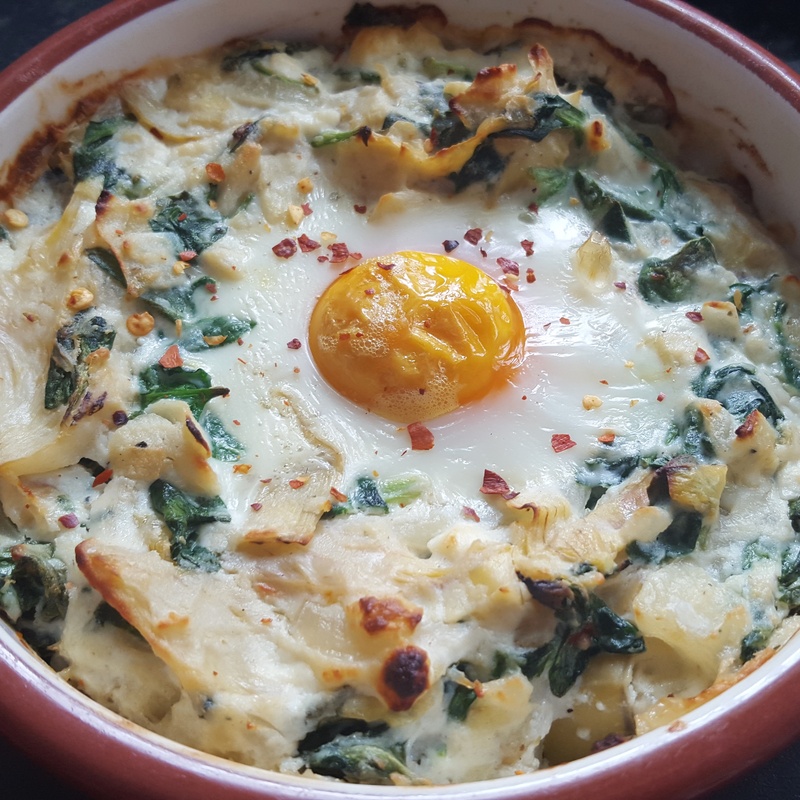 Baked pastas are always comforting and are great for feeding a crowd. Conchiglioni shells lend themselves for stuffing with a whole range of ingredients but spinach and ricotta has to be one of the most classic and most delicious. 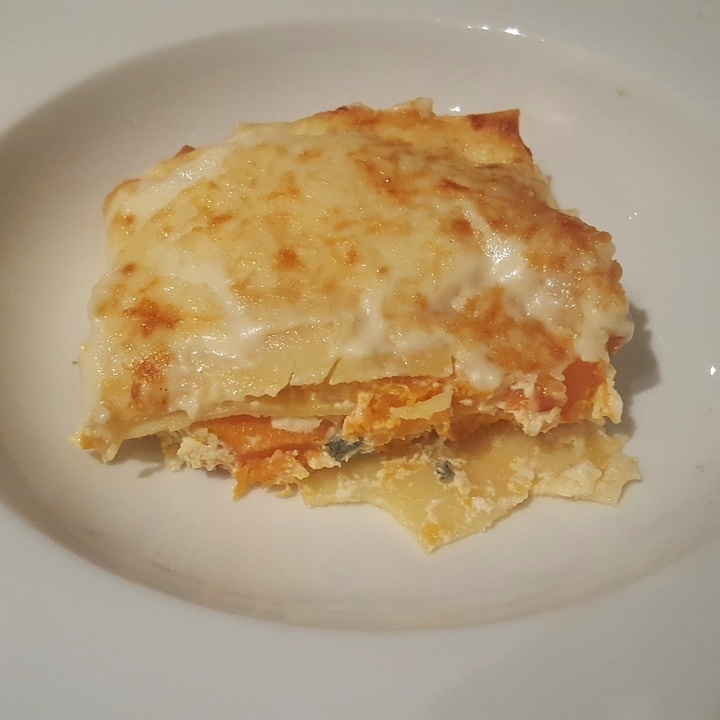 I have added a hint of chilli and lemon in the filling to really liven up the flavours and to be bring out the best in the creamy cheese and irony spinach. Ricotta can sometimes be a little claggy by itself so the mascarpone has been added to make sure the filling is smooth and creamy. 1. Make the sauce first so that can be simmering away whilst you prepare the pasta. Add the oil to a saucepan and gently cook the garlic and onion until if it soft but not golden. Pour in the tomatoes and break any larger chunks with the spoon. Add the red wine vinegar and sugar and simmer until the sauce has reduced and thickened slightly. Remove from the heat and set aside. 2. In the meantime bring a large pan of water to the boil and cook the shells until they are just tender so check the packet instructions- they should take around 10 minutes. Drain well and allow to cool until you can handle them. 3. To make the pasta filling, simply combine all the ingredients apart from the spinach in a large bowl. I simply prepare the spinach by wilting in a pan or popping the bag of spinach in the microwave for around 1 minute until cooked- do remember to check if the bag of spinach you have is suitable for this though! Squeeze as much excess liquid from the spinach and roughly chop before adding to the cheese mixture. Carefully fill each shell. 4. Take a large ovenproof baking dish that can fit the shells snugly. Pour in the tomato sauce before arranging the shells on top. Finish with some freshly grated parmesan and bake in a 200c/ 180 fan oven for 25-30 minutes or until the sauce is bubbling and the parmesan is golden. You might also like to crumble over some crispy fried pancetta if you like- dry fry slices of pancetta in a pan before removing and allowing to crisp up. Sprinkle over before serving. Baked ricotta, spinach and mascarpone conchiglioni- make this part of your culinary repertoire to feed a crowd! Cauliflower had been going through somewhat of a renaissance over the last couple of years and people are enjoying it in new and inventive ways. Cauliflower cheese is a perennial favourite however I recently wanted something lighter and more summery to serve on the side of a steak so I rustled up some roasted cauliflower that is packed with cheesy flavour but without the rich sauce. Saying that, I was unsure about how roasted cauliflower would go down with my dinner partner so I made a side serving of my homemade cheese sauce for dipping- you know, just in case! Cauliflower is versatile enough to hold plenty of different flavours so get creative! I went for the combination of savoury cheese with spicy chilli but, to be honest, most herbs and spices would work! Just think of all the possibilities! I have roasted the cauliflower in separate florets but you can also roast it whole if you prefer; just simmer it in a pan for around 10 minutes before following the recipe below. You may need to give it longer in the oven too. 1. Start by preheating the oven to 200c/ 180 fan. Take the cauliflower and cut it down into florets. Try to keep them all a similar size so they roast evenly. 2. 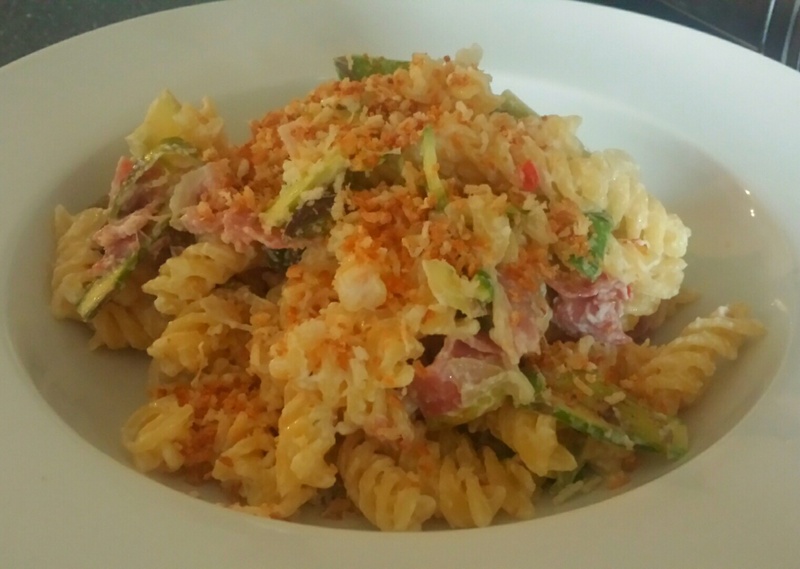 In a bowl combine 30g of grated parmesan, mayonnaise, the ricotta, chilli powder, paprika and season it well; stir to combine. Place the florets into the dressing and make sure each piece is well coated. Place the florets on a baking sheet or similar and roast for 45-50 minutes or until the cauliflower is tender. Towards the end of cooking you may like to remove from the oven and grate a little extra parmesan over the florets before returning to the oven until golden. Chilli cheese roasted cauliflower- a perfect accompaniment that’s a welcome change from traditional cauliflower cheese!